Color Craft Pros repaired this SUV fender in Montgomery, AL. 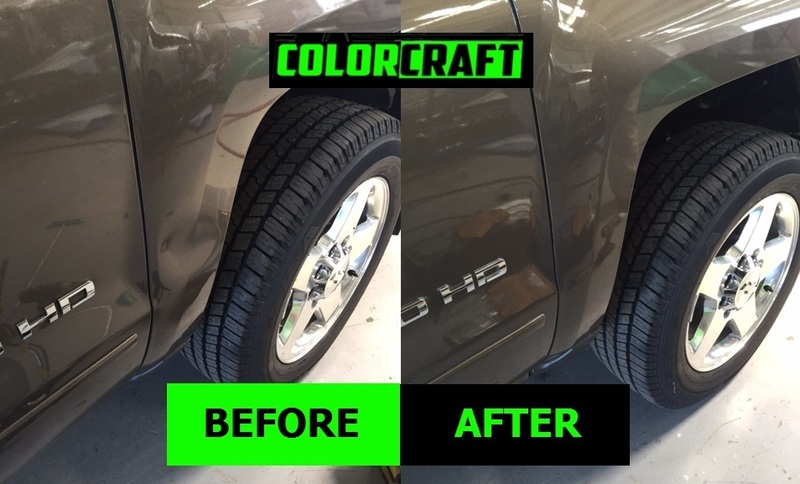 ColorCraft Pros is Montgomery’s source for paintless dent repair as well as fender repair. We were able to repair this fender in Montgomery, AL to like new condition. If you have unsightly dents in your suv, truck, or car; give us a call to get a no hassle proposal!